Food Waste Disposer It is installed under the outlet of kitchen sink. It can effectively grind all kinds of food waste such as melon rinds, fruits pits, tea, vegetable scraps, coffee grounds, wasted foods, breads, bones of porker, chicken, egg shell to tiny paste and pellets, then drained away through the pipeline, thus achieve the effects on cleaning the environment and eliminating peculiar smell etc. Available at Chandra Sales. Best Sanitary fittings for your bathroom. 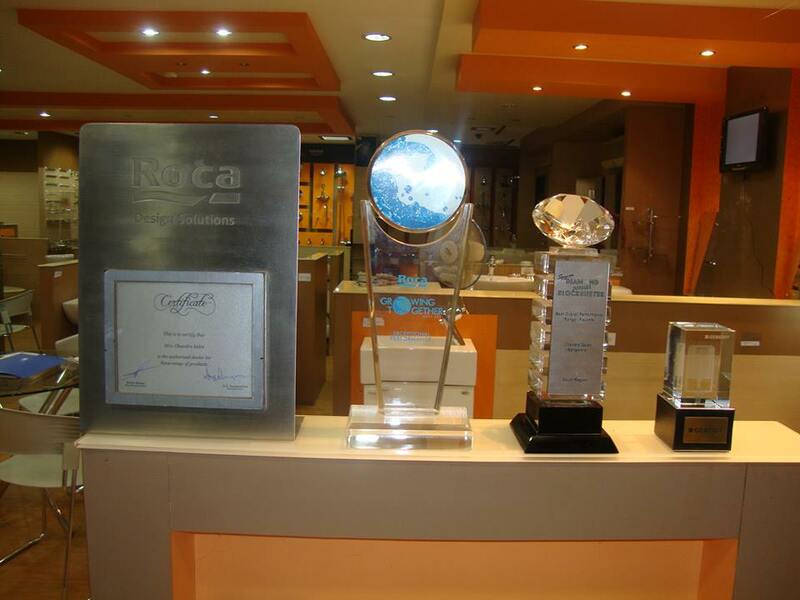 ROCA , the imported sanitary ware has it all. Complete display at CHANDRA SALES , southend circle, Bangalore. Unique designs for bathrooms with ROCA fittings. Designer bathroom concepts can be implemented in a beautiful way with ROCA sanitary ware. Complete display at Chandra Sales, southend circle, Bangalore. Smart toilets . Smart bathrooms. ROCA has a huge variety of sanitary products to choose from. The best you can get. Complete display at Chandra Sales, Sothend Circle, Bangalore. Unique designs for bathrooms with ROCA . Designer bathroom concepts can be implemented in a beautiful way with ROCA sanitary ware and ROCA fittings. Complete display at Chandra Sales, southend circle, Bangalore. Unique designs for bathrooms with ROCA fittings. Complete display at Chandra Sales, southend circle, Bangalore.